I believe that it is important to celebrate good things, and yesterday was a fantastic milestone for me. 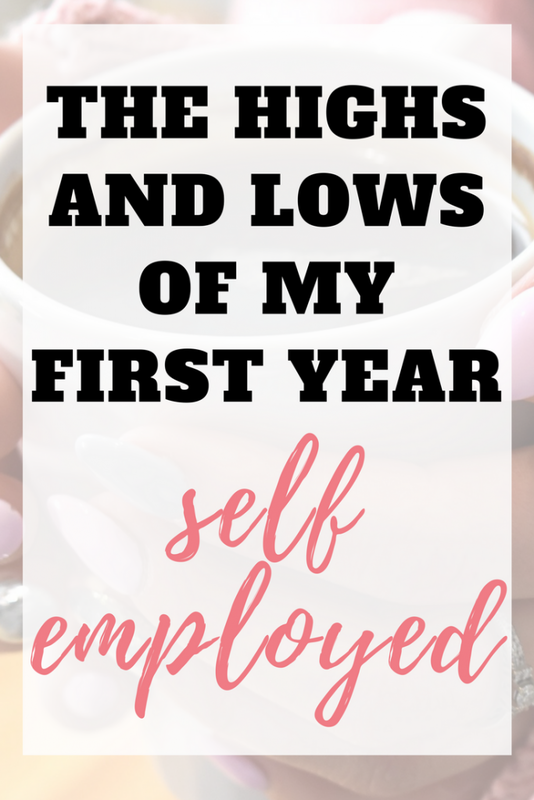 It marked one year since I left my full time job in order to become a full time blogger, and thus being self-employed. Even now, a year later, I am thankful each and every day for this amazing life I have carved out for myself and my husband! 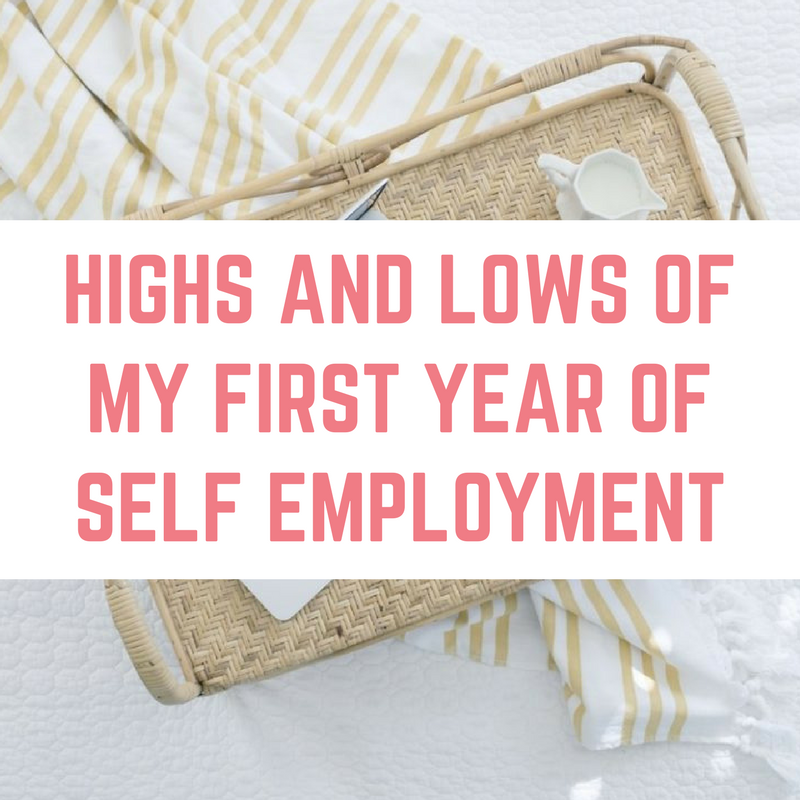 In this blog post I am taking some time out to reflect on the highs and the not so highs of my first year of self-employment. This business that I have carved out for myself and my husband really excites us both, and there have been so many amazing things that have happened over the past 12 months. Here are the highs. Every single day I am grateful that I am my own boss. Being completely in control of my time is wonderful and something I hope I never take for granted. There is something so special about knowing that if I'm having a bad mental health day, or if I'm poorly, I'm not letting anyone down. 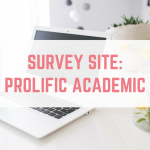 It is also great to know that I can almost drop my work with no notice and go and do something fun – in summer we'd head to the beach or for days out, and in the colder months we like to head to the cinema to watch a couple of films back to back. There is also something wonderful about knowing that all my hard work directly benefits me and my bank account! No more working hard to make someone else rich! The flexibility that I have is second to none! 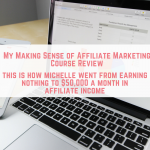 I always had a “pie in the sky” amount that I wanted to earn from my blog – that was £5,000 by December 2016. However, I actually hit that in August 2016 and every month since. 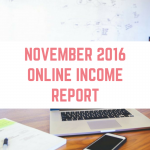 You can read up on my online income reports to see exactly how I've done. I went from £2,825.59 in October 2015 to £6,188.91 in October 2016 which just blows my mind. This amount of money is life changing for us. We have plans to travel a lot in 2017, before making 2018 the year that we get really serious about financial commitments, such as buying a house. In the mean time we have moved into a nicer house and next week we are headed to Disney World for the second time this year. This financial freedom is something that we only dreamed of! We've been on the other end of it – working barely above minimum wage jobs, so it feels fantastic to be in this situation. This high is pretty profound and humbling. Every single day I receive emails from lots of my lovely readers (hi!) with questions and comments, but by far my favourite of these is when they tell me what a positive impact my blog or my free money making course has had on their lives. 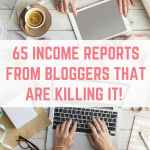 I've seen my readers launch blogs, start new businesses and even quit their day jobs completely. This is so exciting! I had a few secret goals about media appearances I wanted to make in 2016, and I cannot believe that I have hit them all! 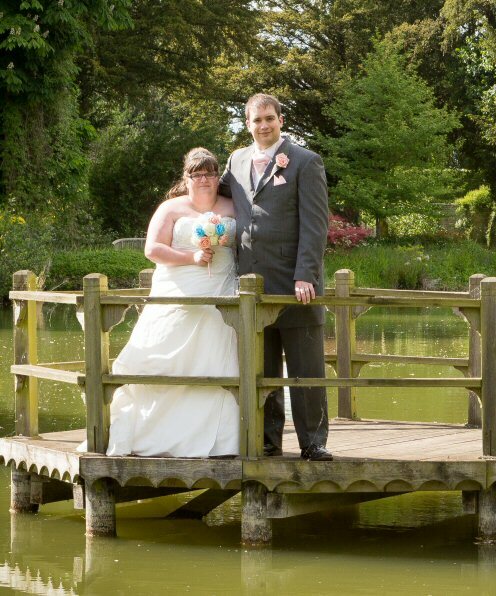 I have appeared in online tabloids, on BBC One and even BBC radio stations. I have also spoken at two events in 2016, with my first for 2017 already booked. I was really pleased to win both Best Frugal & Thrift Blog and Best Money Making Blog at the 2016 SHOMOs – which you can read more about here. Earlier this year I discovered the law of attraction, and it has completely changed my life! As I watched the film I found myself nodding along and seeing evidence of the LOA within my own life. I threw myself into it pretty hard, purchasing The Secret and then The Magic (if you're only going to get one, get The Magic! The Secret explains what the LOA is, but The Magic is almost a guide book and works magic! Plus it is much cheaper). I then discovered Holly Matthews and got enrolled in a wonderful course she has co-created, called The Bossing It Academy. The Bossing It! academy is a 6 week online academy, where you will learn how to use the LAW OF ATTRACTION, to create the life you want. Expect no fluffy Bullsh*t, no magic beans, just REAL life techniques and strategies. So who is the academy for? YOU, if you feel like you’re hitting a brick wall with your life, and can’t seem to get the things that you want. YOU, if you want to create an awesome life! YOU, if you feel ‘enough’s enough’, and are tired of feeling held back by self-doubt and fear, and are ready to take a big, scary leap and see what you’re capable of. YOU, if you feel like the manic modern world, and the mayhem or mundanity of day-to-day life is holding you back from being AWESOME. YOU, if you feel overwhelmed by the constant chaos of life and want to focus on finding your path amongst the noise. YOU, if you want to feel what you do matters. YOU, if you feel excited by the possibilities of life, but overwhelmed by which path to take. YOU, if you want to change direction. YOU, if you love positive people power and want to work together to make an impact in the world and be the best possible version of YOU! If you are interested in signing up then you can sign up here, or choose the payment plan here. I have been wanted to rebrand from “From Aldi To Harrods” for awhile, and I batted a few ideas around (as well as buying who knows how many domain names!) before settling on using my own name. I already owned EmmaDrew.Info for my freelancing side hustling, but I haven't taken on any new freelancing clients for months because I have been focusing more on my blog and everything that comes with it. Although the move itself was quite stressful, I am thrilled with the result. 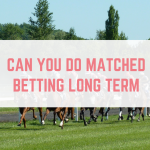 The good news is that my traffic hasn't suffered at all – if you are considering a rebrand then you will be pleased to know that it was much easier than I anticipated! I don't want to dwell on any negatives, however I think that it is important to recognise them and learn from them! I am calling this section the lows and the challenges I've faced, so that you see an honest account of how the past 12 months have been. Cash flow has been my biggest challenge in the past 12 months. Although the business was making enough money, it can sometimes take 3 months or more to receive a payment. That's before you start having to chase people for non-payment! There have been some very lean months where my income report is showing £4,000 or more, but we don't actually have that in the bank. 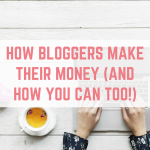 I had to learn how to budget with an irregular income, and we have definitely kept up with our thrifty ways during some lean months. We are now in the situation where we are one month ahead, and we want to keep growing that. It took around 11 months to get here though, it certainly wasn't fast. This one definitely falls under the “challenges” subheading, and it is one that I must face at least 3 times a week! When you work for yourself you have to motivate yourself – which is easy enough when you are excited and when you can see the money coming in! What about when one of your income streams takes a hit, or a few crappy things happen? Not to mention mental health playing a huge part in it! I am no expert when it comes to motivating myself. 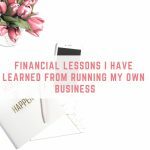 There are a few things that help me to stay on course, including looking back at my previous income reports to see how far I've come, bullet journalling, setting goals and talking to like minded people. Making time for self care is another big challenge that I have struggled with! I have recently got better at this – I use to work constantly, and then the only thing I wanted to do was to watch Netflix. Now I take long, leisurely lunch breaks. I go swimming, go for a walk and do whatever else I need to keep me at my best. After all, you put on your oxygen mask first before helping others! Click here to see what I do for self care. At the heart of what I do, I want to continue helping people to make more money and change their lives. 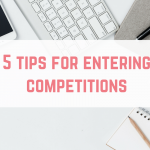 Whether it is to pay off debts, or to be able to stay at home with their children, earning money online opens up a whole new world of opportunities. I have goals that I am committing to paper and I am really excited for what the next 12 months is going to bring for us! Great post Emma. I remember you first announcing this. I can’t believe it’s been a year already. I’m excited to see where 2017 takes you. You are such an inspiration to all Emma, really admire your achievements! It’s amazing how much someone can achieve in a year if they really put their mind to it. I want to work for myself so badly now and I am definitely going to do it in 2017. Your tips will no doubt help me on my journey. Interesting read, I do love a personal post as I’m quite nosey. I’m one of your readers who’s taking your advice to start making some extra money AND I’ve started a blog. I’m struggling for motivation with it atm but I have lots of ideas for posts. You’re so inspiring Emma and show me and so many others that it is possible to live a life so many of us dream of, escaping the daily grind. I’m looking forward to following your journey in 2017 and beyond.